A page and its subpages are called a page group. 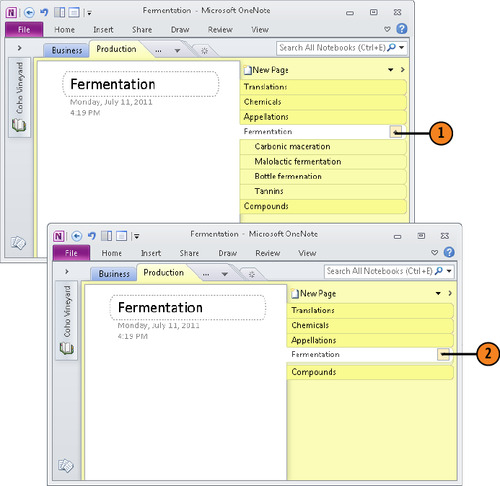 Create subpages to store information that is subordinate to information on a page. You can collapse the subpages in a page group. After collapsing a page group, you can easily move or copy all the pages in the group with the Move or Copy command or by dragging. Create a new subpage: Open the gallery on the New Page button and choose New Subpage (or press Ctrl+Shift+Alt+N). Turn a page into a subpage: Right-click the page’s tab and choose Make Subpage (or press Ctrl+Alt+]). 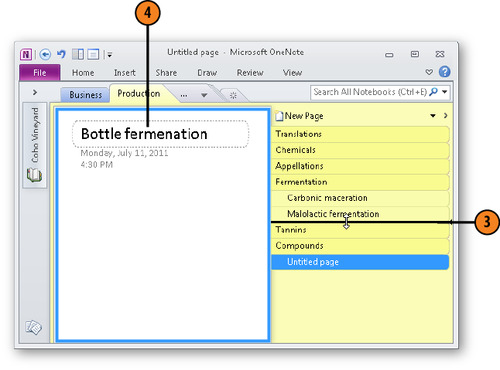 Turn a subpage into a page: Right-click the subpage’s tab and choose Promote Subpage (or press Ctrl+Alt+[). Click the Collapse/Expand button on the first page tab in the page group. 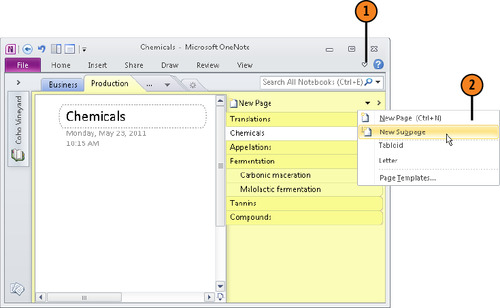 Right-click any page tab in the group, and choose Collapse Subpages or Expand Subpages. Open the drop-down list on the New Page button. Drag the subpage from the bottom of the page tabs higher in the tabs. Enter a title for the subpage. Right-click a subpage and choose Promote Subpage on the shortcut menu to turn the subpage into a page. Click the Collapse button on the first page of a page group to hide the subpages. Click the page group’s Expand button to display the subpages.